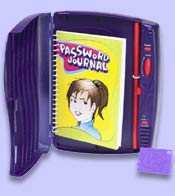 Did any of you guys have a journal growing up? I did. In fact, I had several. I would buy (or beg mom for) a beautiful journal, and I would assign it a very specific purpose. It was so pretty, that it had to be set aside for something special. The only problem was, once that first page was written in, its fate was sealed. If I used a journal to take notes at church, or to doodle in, or whatnot, I couldn't bring myself to use it for anything else. Guys, my room was full 90% empty journals. I had the classic problem of no follow through. No discipline. Which is why I'm still biting my nails, even though I'm no longer 11 years old. I do remember one journal, though, that I think was actually full. Do you remember those!? Oh man, they were great. 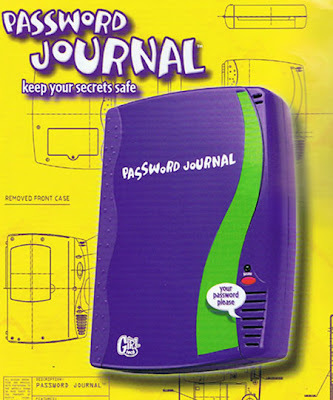 When you bought the journal, the first time you pressed the button, it would ask you to create a password. It was voice activated. What's more legit than that? Well, other than, like...every piece of technology in existence today. But it was the 90's, and life was good. Once the password was set, the only way to change it was to press a button inside the journal. There was a small journal inside, and a hidden compartment behind it for notes, candies, and other secret items. I can't think of anything else right now, because what in the world is actually important at that age? The only flaw, (and it was a rather gargantuan flaw), was that everyone could break my password. It didn't matter what I did. Even if I used something completely unguessable like my current crush "Matthew Broderick" as the pass code, anyone from my best friend Becky to my younger cousin Steven could whisper "Matthew Broderick is hot" and the thing would spring open. I began to really question myself at that point, when boys started being able to break in. I mean, I always thought me and my little brother sounded alike, but...is there such a thing as "feminizing" someone's voice? Because I'm pretty sure I needed that. All that to say, the actual journal portion inside was only a few pages long, and before I knew it all the pages were filled with notes from people saying, "I broke in, sucker! Muaha!" Suffice it to say, my journal-writing went steadily downhill. Not to say I gave up completely. I still wanted to be an accomplished person, so I still bought journals and vowed to fill them. Sometimes I would try to get really creative, and I would name the journal, so I could write "Dear ----" to my new paper-filled friend on each new entry. 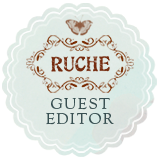 I remember one journal I had featured a beautiful blue-toned landscape, with a cursive "Air" across the front. I decided to name my new journal "Air". ...I still marvel at the extent of my wild imagination. I think if I rummaged through my old stuff and found that journal, it would have had one entry in it. Good morning my friend. I trust you slept well. I had a wondrous day yesterday, and I must tell you about it! But for now, I am going to go and play video games with my brother Kevin. And the rest of the journal would be completely empty. I occasionally will still catch myself eyeing a pretty leather journal at a Barnes and Noble, and I have to forcefully pull myself away. Move away, Caitlin. You've already proven you can't keep friendships with them. Journals weren't the only things I created a personal attachment to. Oh, no. Ask anyone who knew me when I was younger, and they'll tell you, I was (am?) the most sentimental, pack-rattish fiend who ever was to own a Polly Pocket. I collected about 57 different things, including Porcelain Dolls. I could probably devote an entire post to Porcelain Dolls, because...well, they're evil. That's not my actual collection, but it could have been. All my porcelain dolls sat up on the top of my tall dresser unit. They all had names, they all...watched over me, in a sense. In a really scary sense. Because if you're like me, and there are wicked gangs afoot, the dolls periodically try and kill you. On 3-5 separate occasions, I had friends and cousins play rather horrific pranks on me, trying to convince me that my dolls came alive at night. 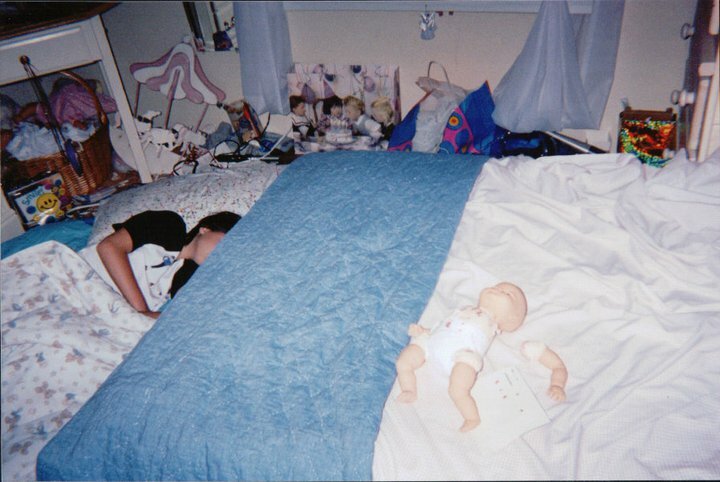 One time, I woke up to all of my porcelain dolls surrounding me on my bed. It was a lovely day bed, with the typical trundle bed beneath it. The son-of-a-guns even put a doll standing on the trundle, with her arms raised, as if trying to climb onto my bed. They included a note, with all of their names signed at the bottom. I mean, if there's ever a time you think I'm messed up in some way, let's just all point fingers to that fateful morning. This is me, sleeping on the floor so that other "friends" can sleep in my bed. And yes, that's a doll, covered in red ink (blood) with some kind of horrible note. Suddenly, I'm really quite fine that I never had any real sisters. What a great time to live. What a great era to grow up in. These are just a few small tidbits of my experiences before modern technology ruled our lives. And I heart Flashback Fridays.